I never thought that I would lose my friend so quickly. He came into this life on December 2, 1961 and departed on November 11, 2017. 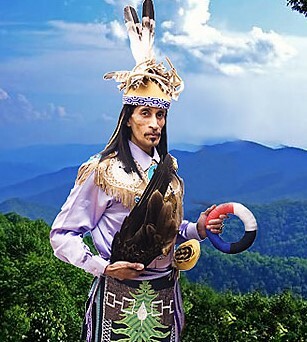 Like so many Americans today, Will was a mix of ethnicities, and was descended from the Cherokee in North and South Carolina, including a great-great grandfather, who was a medicine man in Oconee County, SC – and that was the path he followed, becoming Chief of the South Carolina Cherokee Tribe, and CEO of the Eastern Cherokee, Southern Iroquois, and United Tribes (ECSIUT.) 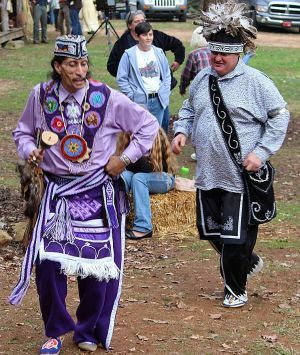 He embraced his Cherokee and Tuscarora heritage at a very young age and this heritage became a significant part of who he was. Will Goins was a historic preservationist, published author, communications professional and community leader. 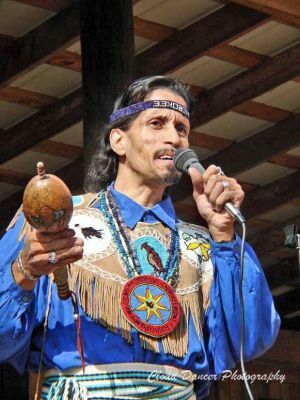 He will be remembered as a folklorist, cultural presenter, chanter-singer, dancer, artist, educator, arts administrator, and a tireless advocate for the marginalized of this world. But most of all, he will be remembered as a man of great loving-kindness, a loving and attentive son, a fun-loving brother and uncle, and a man who loved and cared deeply for his friends, and who had an infectious laugh and an exhilarating spirit that could always visualize new possibilities. Will earned his Bachelor of Arts Degree in Anthropology and Communications from The George Washington University; and his Master Degree and a Ph.D. Degree from Penn State University. 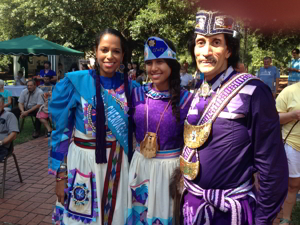 I learned of Will’s passing the following day from his sister — my good friend, Dr. Felicia Goins. My heart was stunned, just as your collective hearts were stunned at receiving this news. I closed my eyes and immediately Will presented himself, his face close to mine, looking into my eyes with such Exuberance and Supreme Joy and Love! He laughed for me! His funny, wonderful laugh! It was a Victorious laugh! He was so happy that he was now on the other side! He was more alive to me, in that moment, than in his physical form. It’s like he wanted us to know, that he will continue his work, unencumbered by the limitations and frustrations of this physical realm, and accomplish even greater things from his place in the higher heavens! 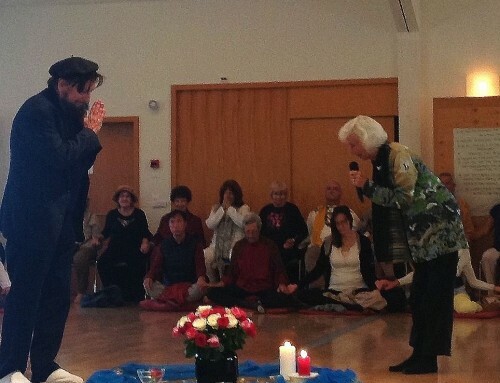 His Presence in that moment has stayed with me – a healing Gift – a living example of Life Eternal. We had been friends for over 18 years, and as our friendship grew, the threads of our lives interwove in the most wonderful way — from the classrooms of Heathwood Hall Episcopal School, to the great conference rooms and anthropological outings with The Academy For Future Science. 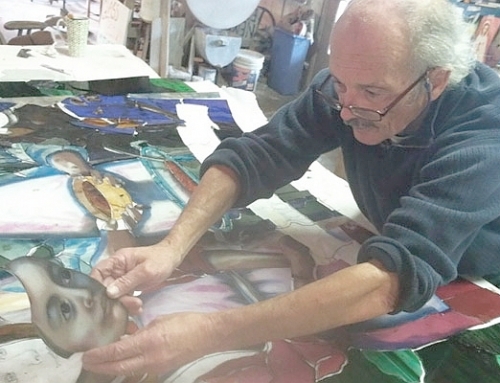 I had this pressing inner sense that the world “needed to know” this special man. In 2012, Will was one of ten featured speakers in the documentary, “Wisdom of the Wayshowers”, which was translated into five languages and shown to special audiences around the world. In some small way, his great Light and Wisdom and Soulful Presence had been preserved for future generations. 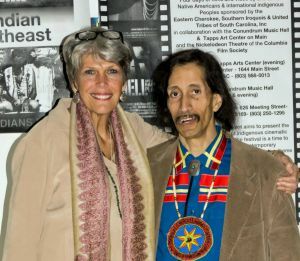 Will also lent his expertise, as scholar and cultural anthropologist, to the 2014 film, “The Mayan Connection”, helping us to understand the great cross-cultural pollinization of people that took place around 800 A.D. between the Itza Maya of Yucatan and the native peoples living in the southeastern part of the U.S. The condolences that have been received from all over the U.S., Canada, Mexico, Brazil, Chile, Venezuela, Australia, Europe and South Africa, are a beautiful testament to the far-reaching impact that he had on people’s lives. 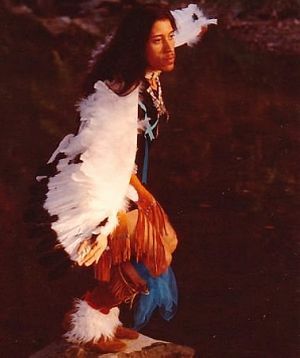 I loved to listen to Will pray, and sing in Cherokee, and to dance the dances! So many forever memories! 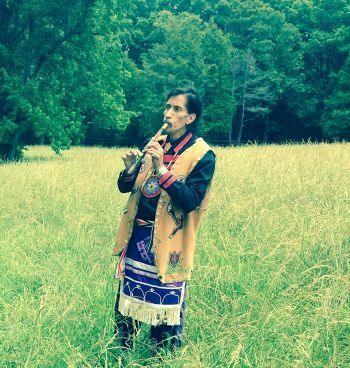 He sang “Amazing Grace” for me in Cherokee, at a birthday celebration, many years ago — it was goosebumps beautiful! I pray that his legacy and good works, shine brightly in each of us and for generations to come. 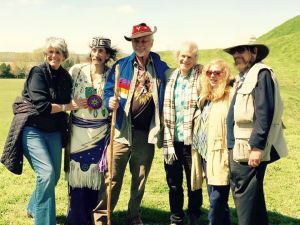 And, I offer up this prayer: Oh Divine Eternal Father, YHWH, Abba, Abba Nartoomid, as fear appears to grow in our world, that You please help us hold the vision of Will in his beautiful white buckskins, working alongside the other great wisdom teachers of the higher worlds. And help us to please, transform the anger and despair in this world, with dreams of a better future – one that Will absolutely knew existed. 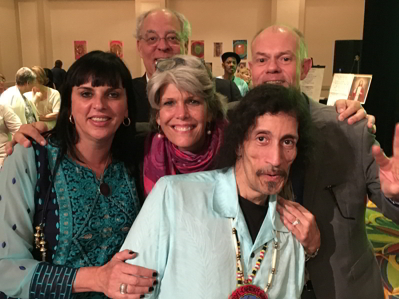 For, Will Goins has been a model for each of us, who share the quest and the celebration of bringing higher spiritual insights to this life. 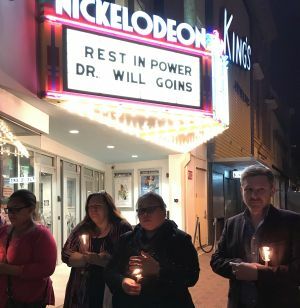 The Gates of Light are opening and people deeply appreciate Will’s legacy to navigate the difficult pathways, always giving voice to the marginalized of this world. From the stars you came … and to the stars you shall return, for that is where you belong, beloved Will, alongside the great Teachers and Wayshowers in the Heavens! The world loves you, Will Goins, and we will never, ever, forget your stay on earth! Thank you Antara for your tribute to Will Goins. 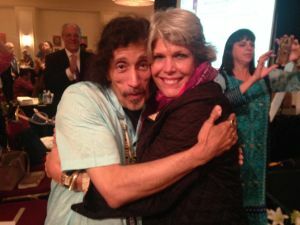 He is a wonderful soul whose gentle ways of sharing touched my heart as with so many others. YEHOYAQIM our Brother Will. Had the privilege to met Will Goin just once but all u have shared about him come thru in that one meeting. Thank you for your Tribute to him. He was a blessing to all who had an open mind and an open heart. This Tribute from Antara Brandner is a perfect summary of the impact of his presence, his way-showing teaching and his friendship. I feel blessed to have known him for a few short years, and especially blessed with wonderful memories of our few private talks concerning the Sacred and the Divine and the wonderful Indigenous People of North America.